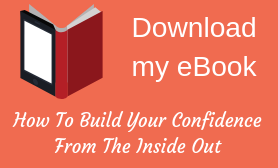 Are The Stories You Tell Yourself Draining Your Confidence? What Confidence Coaching Can Do for You! Is ‘Nice’ Girl Conditioning Holding You Back? What Is Self-Worth And How Do I Know I’ve Got It? 5 steps To Avoid Being A Conflict Avoider! Are Your Speech Habits Making You Sound Less Confident? What If Confidence Isn’t The Problem? Helen’s Stopped People Pleasing, Could You? Why Aren’t I As Happy As I ‘Should’ Be? Is Facebook Knocking Your Confidence? What Is Shyness – And Could This Be You? I was on Sky News – What are you going to do to step out of your comfort zone? Do You Always Imagine The Worst? Do You WantTo Change Job But Have No Idea What To Do? Do You Put Your Own Oxygen Mask On First? Do You Still Avoid Confrontation? Why Do I Still Have Self-Doubt? Do You Feel Like An Imposter At Work? 6 Things Confident People Don’t Do! Are You A Control Freak Or Just Well Organised? I recommend this diet for great results! Jealousy and Envy, Why Are We So Ashamed Of Them? Are you scared of “Putting Yourself Out There” in 2015? Grief isn’t just about some one dying! Judging Others – Is it Right or Wrong? New Year’s Resolution Stats That Will Shock You! There’s abundance in life, if you learn how to look for it. How would your rate your self esteem? What do you do for me as a coach?